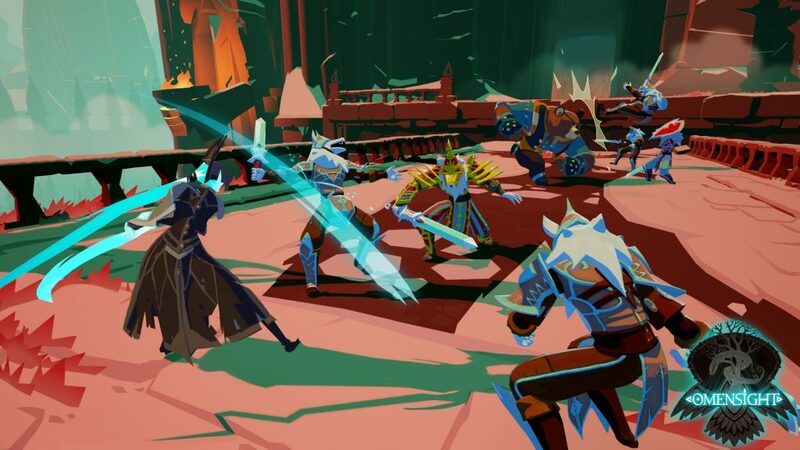 Brought to us by the same company that game us Stories: The Patch of Destinies, Omensight is a title that combines action, narrative story-telling, and amazing Oddly, both games are also connected as they take place in the same universe and the gameplay is very similar. Welcome to the war-torn land of Urralia, a world that is caught up in a never-ending civil war waged by multiple races of anthropomorphic beings. With the kingdoms of Pygaria and Rodentia going at each other, things seem bleak for the lands. Not to mention that the Godless-Priestess Vera was murdered, which isn’t good for anyone. Without her, the world will slip that further into darkness, as she alone had the power to divert a major crisis. Oh, wait, it’s about to get worse as a being called Voden, the void king who thinks that Urralia is looking like a smorgasbord. This place needs a lot of help. Enter the harbinger, a being who only appears when all is lost and everything is at its darkest. If you haven’t guessed it by now, that’s the role you’re tasked with. As the harbinger, you have the ability to relive the worlds last moments, all of which can help you solve the mystery of Godless-Priestess. In doing so, you can help the world of Urralia rise again. But only if you can unravel the clues, which isn’t exactly a walk in the park. The story in Omensight is the stuff straight out of a murder mystery. As you complete the quests in front of you, you arrive at the end with clues that you need to find during your investigation. Clues such as viewing a character’s timeline or understanding why they made the actions that they did. After gathering these, you continue on your journey while utilizing the newly found information. That said, there is a bit of backtracking which did get a bit tedious. But the story and the character development helped offset this, especially since retracing your steps with new information can potentially change the way the characters act. Which can ultimately change your first outlook of them Some may become a bit more likable. Or that person who you thought was a good guy, wasn’t one after all. The gameplay consists of segments of hack and slash combat, with occasional platforming and exploration. Combat-wise, it reminds me of Bayonetta or Batman Arkham. You have your light and heavy attacks, and a dodge mechanic which provides both a way to escape damage but also gives off a nice effect while doing so. However, your enemies vary and you’ll have to use your combat skills to get around their defenses. Such as when the shielded guys show up, which can nullify your light attacks, so you have to switch up to heavy hits to break their guard first. You’ll have to use your wits just as much as you use your button pressing skills. In addition to this, as you progress throughout the game you’ll learn new moves and gain greater stats. You’re also not alone in your quest either. You’ll often be paired with several AI companions that not only help you traverse through the levels but also in combat. Directing them to use their special ability will allow them to help out during fights, which adds an extra dynamic. I enjoyed this as it made the AI counterparts useful, instead of them just going off and doing their own thing. On my setup, the game looked and ran well. The art design wasn’t a favorite of mine, as it reminded me a bit of cell-shading, but it did grow on me. However, the amount of detail in the visuals is impressive. The character’s moments are fluid, while the areas that you visit are full of like details like flicking lights, things in the background moving and even subtle things like grass flowing in the wind. The sound was equally impressive, from the sounds made during combat such as the clanging of weapons. I enjoyed the music as well, and while there weren’t any tunes that were memorable the score was really moving. I especially enjoyed the opening theme, with the chanting and percussions. The voice acting was a bit on cringy-side at times, but turning the volume down to avoid it just didn’t have the same effect as having them on. To be fair, only certain characters voicing annoyed me. The issue I experienced with the game was about the button inputs. The game states that a controller is highly recommended and it is, as trying to play the game on a keyboard just wasn’t as fun. Mainly as there’s only one directional input, the “W” key, while movement is handled by turning around and going in that direction. However, there were times where my controller button inputs would show up as keyboard inputs and I was required to press the keyboard button instead. At other times it would flash the keyboard button, only for the controller button to show up a second later. Hopefully, this gets patched in an update. The controls are a bit twitchy when it comes to the platforming segments as well. There’s also the little issue of the camera, as it doesn’t always focus on you and tends to get in the way of combat. It works, but I feel that it can better. While the game is pretty short and you can beat it in one sitting, there are multiple difficulties for those who want to run through it again. There’s even an option that basically goes into full detective mode. Requiring you to write the clues that you uncover, instead of the game keeping track of them for you. I really enjoyed Omensight, and I feel that anyone who enjoys a title with solid combat and good story-telling elements, will as well. Sure, it does have some rough edges but the overall game is enjoyable. Fans of hack and slash games will really enjoy the combat, despite it being repetitive at times. Kudos to Spearhead Games and I’m looking forward to seeing what they crank out next. Review Disclosure Statement: This copy of Omensight was provided to us by the publisher for review purposes. For more information on how we review video games and other media/technology, please go review our Review Guideline/Scoring Policy for more info. 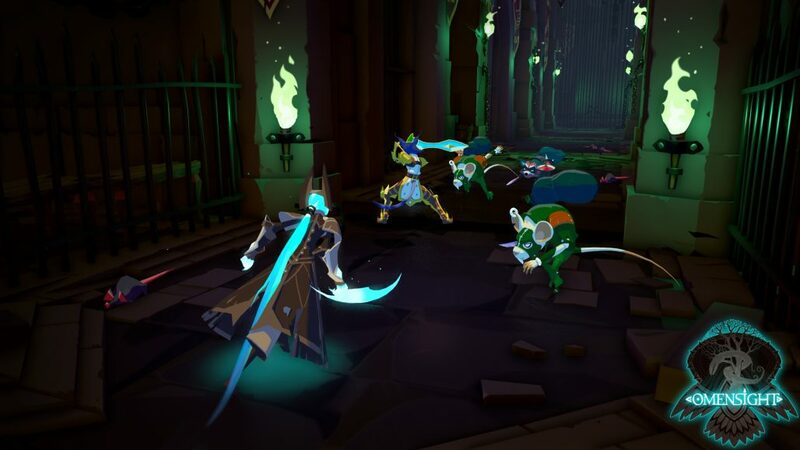 Omensight attempts to combine the action of a hack and slash game, with an interesting on story-telling. While it succeeds in most areas, the game does have a few rough edges that made took my excitement level down a notch.